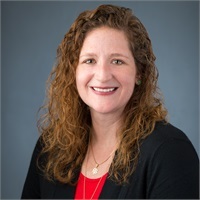 In the Data Support role, Kristie Rheuport provides administrative support for MACRO Consulting Group’s data management system and secure document portal. She works closely with the Portfolio Data Manager and collaborates with the Client Relations Managers to produce reports necessary for client meetings. Kristie has over 20 years of experience in customer service. Prior to joining MACRO in 2013, Kristie worked as a bookkeeper for over a decade. In her free time, she volunteers at a local nonprofit children’s theater helping out wherever needed including set construction and costuming.